All homes currently listed for sale in the zip code 90065 as of 04/18/2019 are shown below. You can change the search criteria at any time by pressing the 'Change Search' button below. "Scheduled for completion in April 2019, this modern residence offers the opportunity to own a stunning newly built view-home with excellent location in the coveted Mt. Washington. House features 3 bedroom with 3.5 bathroom. a large great room, formal dining room, master bedroom with walk-in closet, laundry room on second floor, granite counter tops in kitchen and bathroom, wood and tile flooring, covered porch." "Centrally located, yet elevated in the hills, you'll find this well designed rustic-contemporary home. Built in'09, to take in views, this multi-level beauty includes materials such as industrial steel beam stairs & bridges, walls of glass, soaring ceilings, concrete & wood finishes. This home sits atop an idyllic hillside, known for its serenity & views. Offering 4 beds/3.5 baths & gym, all enjoyed thru an intelligently designed living space that connects lofty spaces w/the outdoors. Well positioned glass doors, open to viewing decks, a terraced yard w/2bbq's & sitting areas to take in your surroundings. Additional features include solar panels, auto-shades on windows in bedrooms, recessed dimming lights, quality kitchen cabinets, stone counters, stainless appliances & backsplash, custom metal rails, auto skylights, built in sound, central vac, CAT-6, Ethernet wiring, security cams, & more. This property offers beautiful views from all flrs, a private yard & natural light throughout." "Do you want a house with beautiful lines and a bright open feel? Do you want a gorgeous view? Do you want to be close to cool spots but feel peacefully away from it all? Come to 624 Cross Avenue in Mount Washington. You'll find a 3 bedroom, 2.5 bath home with an updated kitchen, open flow living room-dining room, library, garage and bonus space for gym or storage. And the view is spectacular, you might even catch a hawk soaring by. Close to Moon Canyon and Heidelberg Parks and just up the hill from Figueroa Street. (bonus space is not permitted, adjacent lot is not included but can be purchased)"
"Amazing investment opportunity in a prime location! Walk to Heritage Square Metro Gold Line Station in just one short block. Two separate parcels with 6 unit s total (5 buildings) must sell together. Near Glassell Park, Chinatown, Dodger Stadium and Rios De Los Angeles Park with Trails, Field Sports and Playground. Brand new, ascetically appealing apartments just across the street, complement this neighborhood. Residential Income Listing CV19032787." "Land and views! This home is close to everything and overlooks Downtown, Dodger Stadium, Griffith Park and has a view of Century City - all on over 20,000 sq. ft. of land. The two-story contemporary with large basement offers nearly an acre of additional lots for purchase to ensure your gorgeous surroundings stay private. There is also a permitted accessory dwelling unit, a huge level back yard, terraced grape vines, and many citrus trees. This home offers recessed lighting, in-wall audio, and multiple home theatre possibilities. There is also a large family room off the main room in addition to a 2nd story master bedroom with a fireplace, en suite bathroom and a walk-in closet. Two of the three bathrooms have multiple showers, jetted tubs and a steam room. 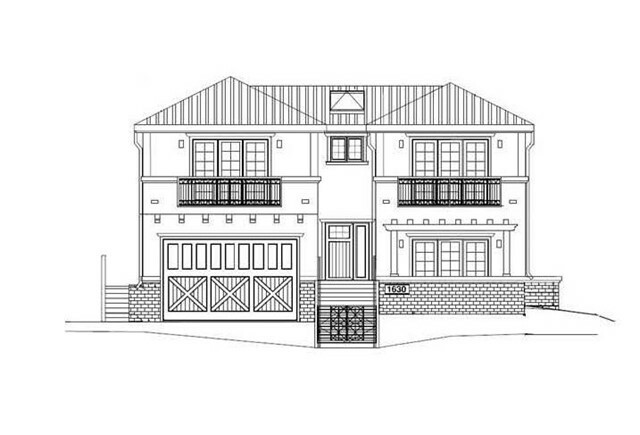 The floor plan includes a large deck, two patios, two driveways suitable for multiple cars, a boat or R.V. parking. This house has views from nearly every room. You are surrounded by serenity and space yet only moments from Downtown"
"Modern view home sitting on an expansive double lot. Tucked away in the hills of Mount Washington, this home has been beautifully remodeled. This captivating home welcomes you with an open floor plan that seamlessly ties together the kitchen, dining and living room. Kitchen comes complete with custom cabinetry, quartz counter tops, and stainless steel appliances. Updates include: rewire + panel, copper plumbing, HVAC, Aluminum windows, oak hardwood floors, wood doors, all new stucco, landscaping, fencing. Enjoy several outdoor entertainment areas with multiple decks and a custom made pergola. Oversized 2 car garage (approx 600 sq ft) can double as a creative space." "Slated for completion in May 2019, this modern residence offers the opportunity to own a stunning newly built home with excellent functionality and breathtaking design elements. It truly is a home that will capture your imagination with the endless floor-plan possibilities and unique architectural lines. 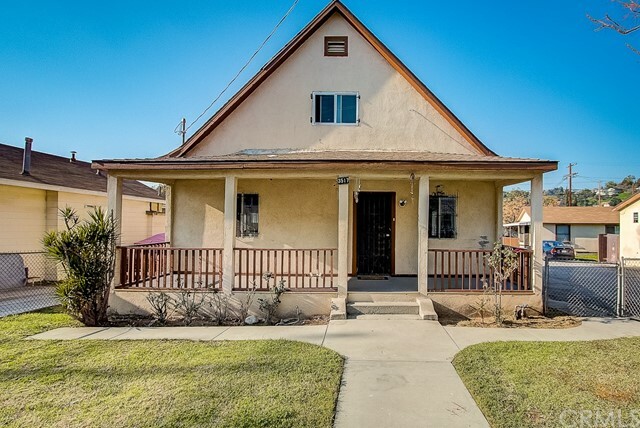 With 3 spacious bedrooms, 2.5 bathrooms, and a large open concept great room and kitchen, there is plenty of room for you to grow into this stunning Glassell Park home. The great room and kitchen are located on the top floor allowing for plenty of natural light to flood the space when desired. Immediately upon entry you will notice the quality of the textiles used. From the white shaker cabinets with custom quartz counter tops, to the beautiful ceramic tile flooring, this home will exude quality and craftsmanship. In the rear there will be a wonderful sun room and patio perfect for entertaining and indoor outdoor living at it's finest. Current pictures are renderings." "Location is key: for eighty years, Glassell Park has been home to directors, actors, and famous Los Angeles creatives. It is now the hottest new destination of the Hollywood elite. This home is perched at the pinnacle of this vibrant creative community. Neighbors greet you as they walk their dogs, and you will see evidence of their artistic endeavors everywhere. Watch the fireworks over the valley on July Fourth and New Year's eve. Relax in the mammoth master bedroom with its soaring vaulted ceilings that is, along with its bathroom and walk-in closet, the size of an entire apartment! Every bedroom has its own deck with views of the valleys or the home's garden. There are two further massive decks with the same spectacular view for entertaining. Also, relax in your bedroom or family room in front of a roaring fire in either of this home's two wood-burning fireplaces!" "Back on the market! 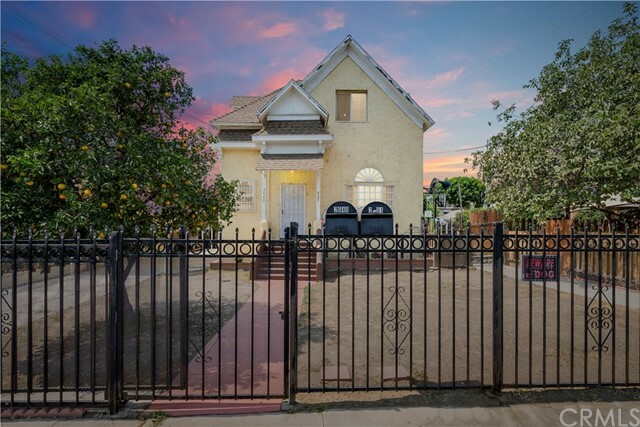 Three on a lot/triplex, exclusive and rarely available in the up and coming neighborhood of Cypress Park sits this incredibly grand property you've waited for! This exquisite property redefines luxurious with all its fullness, richness and character. This distinctive build has so many wonderful characteristics that makes this home so unique. Exceptionally appointed throughout, this magnificent residence features soaring ceilings, functional newer windows, elegant parquet flooring, custom window coverings, crown molding, updated electrical and plumbing, the list goes on. The open floor plan boasts a grand foyer, fireplace in the living room, stately separate dining room, functional kitchen with seating, superbly equipped tile counters, stainless steel appliances and immense pantry. This simply breathtaking estate is open and airy. The grounds are guaranteed to mesmerize all who walk through the doors. If you are looking for magnificence, look no further than here with the almost 11,000 square foot lot that can accommodate RV parking along with at least 13 more cars. Located just minutes to the newly developed Riverpark community and minutes from Downtown Los Angeles, all major freeways and surrounding cities, adjacent to LA River, Greenway Trail, Metrolink, Dodgers Stadium, Pasadena, Glendale, Burbank, Atwater Village, Silver Lake and Los Feliz! What an excellent opportunity to personalize this zoned LARD3 not HPOZ spectacular space!" 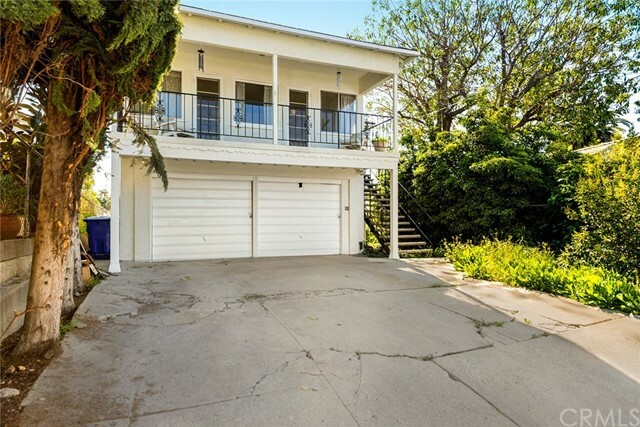 "This beautifully remodeled 1960's split-level home,on a 12,491 sq. ft. lot, is located on a quiet cul-de-sac atop the Mount Washington Estates.The open & airy living room features a pitched beamed ceiling, plank wood floors, fireplace & glass doors that open to the grassy park-like backyard. Off the dining area is a sleek cooks' kitchen with quartz countertops, a center island with breakfast bar,5 burner cooktop,farm sink, double-ovens,stainless steel appliances,Bosch dishwasher & a built-in desk.The upper level provides a spacious master suite with 2 closets & a sitting area plus a spa-like bath with a pedestal bathtub,frameless shower, a marble countertop with double sinks & marble floors.Two additional bedrooms & bath complete this level.The lower level has large media room with wet bar,laundry & a private in-law suite.The expansive fenced yard provides majestic views of the hills & downtown.2 car garage with direct access,solar panels & central air/heat.Mount Washington Elementary"
"This cool midcentury has it all - private cul-de-sac location, views, and updates throughout! Designed by architect Raymond Stockdale, notable for several residential properties in Hollywood Hills, and commercial properties in LA, including the Pan American Bank building, which was added to the National Registry of Historical Places in 2017. The open-concept living area is just what you've been looking for, with a vaulted ceiling extending from living room to kitchen. This is the ideal entertaining space - the party can spread out from the seating area in front of a decorative fireplace, to the remodeled kitchen, and out to the back yard where you could have your very own bocce ball court! The master bedroom opens onto the courtyard patio, & has a walk-in closet and an en-suite bath with dual vanity and spacious shower. Located in the coveted Eagle Rock Elementary area, it's also a short distance to Colorado Blvd for shopping & dining." "As Mark Twain said Buy land, they aren't making any more of it. 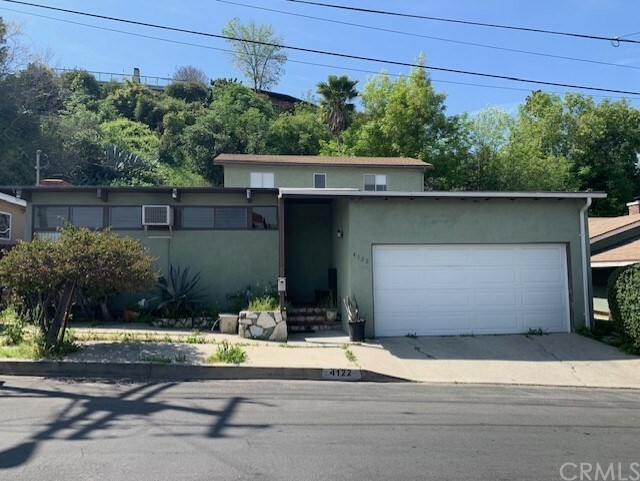 This view lot is not only located in the highly sought after area of Glassell Park, it comes with a whole years worth of work already completed in design and planning. Don't miss out on this rare opportunity! RTI permits approved, soils tests and architectural plans in place and approved, you will be able to break ground right away and build your custom home. Spectacular Views. Plans include beautiful and expansive multi-level decking for indoor/outdoor California Living. Copies of all stamped plans, soils tests, and estimates will be provided. Owner will consider subordination to construction financing with a significant downpayment. Owner will consider any reasonable offer." "Reduced price! Gorgeous Remodeled Home in the heart of Mount Washington minutes away from Pasadena and Downtown Los Angeles!!! Enjoy a relaxing mountain view in a quiet street. This two story home has four bedrooms and three bathrooms. It is has been updated and almost completely remodeled to meet the expectations of selective buyers. It has an open floor plan with abundant natural light, wet bar, shiny wood floors, receded lighting, fire sprinklers, freshly painted in and out, double entry door and much more. Master bedroom has walk-in closet, master bathroom with a jetted bathtub, tub and shower, vanities and tempered glass oval vessel sinks. Central location near to schools, shopping plazas and freeways. You can enjoy the view of the city from the back yard balcony and entertain family gatherings in the professional landscaped backyard." "Sophisticated, modern, chic Mt. Washington view home, perched on a hillside . Top ranking Mt. Washington Elementary School District. 1940 sqft of living space with 3b/3b + bonus media room. Through private courtyard, enter main level with open floor plan and expansive views. Casual living room with fireplace flows to kitchen with Italian cabinets, center island with breakfast bar, stainless steel appliances, pantry and dining area. Two patios, one perfect for dining, provide tranquil canyon setting. A powder room rounds out the main floor. Lower level with private master suite and patio, master bath with soaking tub and separate shower, and walk in closet. Two additional bedrooms and hallway bathroom. Large bonus room finished ideal for a media room with in-wall wiring for 7.1 sound (currently setup as sound recording studio) . Direct access from two car garage. Home has all of the amenities of a modern lifestyle. (Photos shown show staged furniture.)." "Quiet modernism with a Scandinavian vibe in the hills of Highland Park. Feel the stress of the day melt away as you turn up the semi-private drive and into a spacious two-car garage with direct access to the entry level - including laundry room + formal foyer. The first floor beckons you to relax with a den/family room and an incredible master suite with walk-in closet + serene master bath. Light-drenched top floor boasts two additional bedrooms, a 2nd bath + a great room that's made for entertaining. Vaulted ceilings + architectural metal windows frame the territorial and downtown views. Exceptional indoor/outdoor access to the front deck from the living area, and to the expansive backyard from the kitchen and one of the bedrooms. The peaceful setting will have you believe you're miles away - while located in one of LA's hottest neighborhoods near the Figueroa corridor and York featuring hip eateries Hippo, Town Pizza, HP Bowl, HomeState + many more. Welcome home to Eaton Park!" 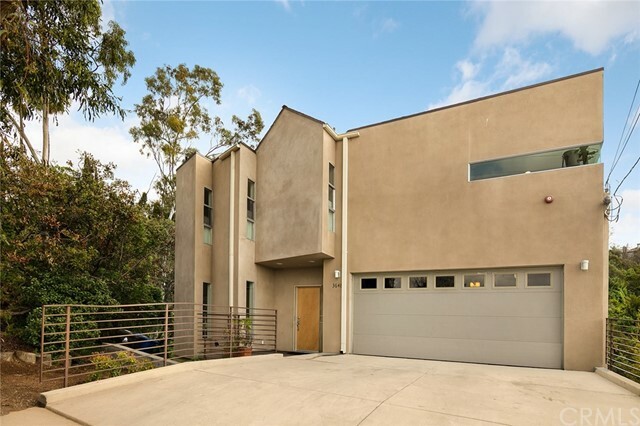 "Bright spacious contemporary in Mount Washington with captivating treetop, canyon, and city views. 3953 sf built in 2010 includes five bedrooms and two bonus rooms. Large windows throughout the house and skylights bring in natural light, giving an open, airy feel, as well as beautiful nature views of your own private ravine and hill on one acre, which can also be enjoyed from the covered decks. Or hike up your own backyard hill or the 35 acre hiking park just a five minute walk away. High ceilings, clean lines, bamboo and tile floors, add to this peaceful setting. Great entertaining kitchen with stunning city views, BBQ deck, walk-in pantry, granite counters, stainless counter depth fridge and freezer, convection oven. Retreat-like Master with Jacuzzi tub and aromatherapy steam shower. Quiet neighborhood on hill away from city noise, yet only 9 minutes to downtown. MOVE-IN Ready and a MUST SEE!" "Recently upgraded Mt. Washington home. Jetliner views of Glendale and Burbank. Contemporary two stories, kitchen was remodeled and so were all the bathrooms. Vaulted ceilings, split level floor plan, all bedrooms upstairs have balconies." "Must see this beautiful, well designed home. 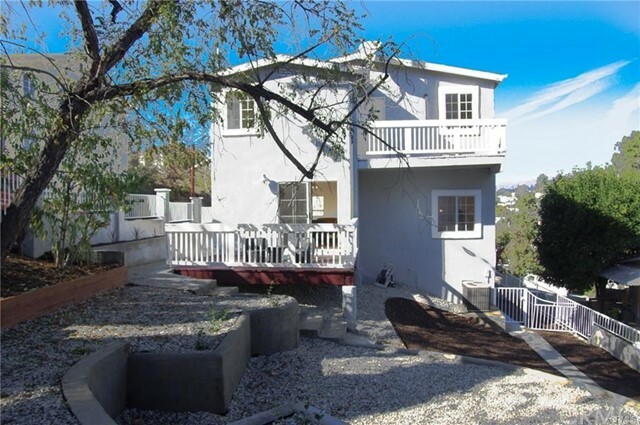 It is situated at the top of the hill, in the most sought after pocket in Glassell Park. This home has an amazing layout with original wood floors, the views are incredible and the possibilities are endless. This home boasts, 4 bedrooms 2 full baths, balcony from the second story with breathtaking views, plenty of easy parking space with a large driveway leading to a 2 car attached garage, beautiful original hardwood flooring, lots of windows for natural light, large kitchen, home has good bones. Ready for someone to come and make it their dream home!" 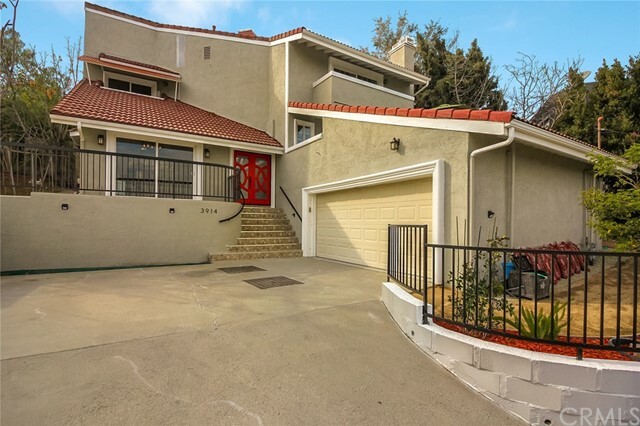 "Highly sought after Glassell Park area now has the ultimate home available. Very spacious, extremely charming home is move-in ready! Opportunity to create your ultimate dream house. Amazing floor plan! First time on the market in decades. Seller is highly motivated, submit offers, this deal will not last!" "This 2,041 square foot house sits on a 5,901 square foot lot and features 4 bedrooms and 3 bathrooms. City light view on the second floor. Nearby schools include V.O. Eagle Rock Christian Academy, Toland Way Elementary School and Integrated Pathways To Knowledge. The closest grocery stores are Lutong Bahay Restaurant, Luzon Food Mart and Wendy's Market. Nearby coffee shops include Starbucks, Starbucks, and King donuts. Nearby restaurants include Matsuri Bowl, Papa John's Pizza and Little Ongpin. 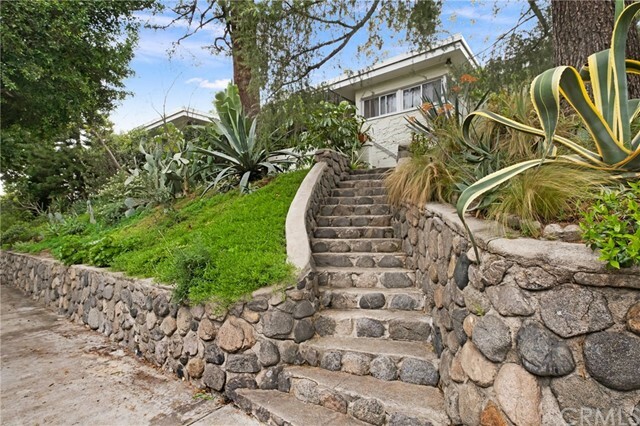 4122 Palmero Dr is near Cleland Avenue Bicentennial Park, Occidental College, and Carlin G. Smith Recreation"
"Charming midcentury modern w/ staggering views of the DTLA skyline! Idyllic MT Washington hillside, known for its serenity, this spacious 2 bed, 2 bath home and 2 car garage sits on an approximately 7,000 sq ft lot. Enjoy a large private deck, perfect for extraordinary sunrises and sunsets. Other features are a wood burning fireplace, open floor plan, and a huge backyard that has the potential to be a beautiful private garden. Located just east from downtown Los Angeles, this property is conveniently located to amazing dining, entertainment, coffee shops and public transportation. Truly a wonderful opportunity awaiting the perfect owner. The property is currently tenant occupied, so please call Listing Agent for showings. Currently tenant occupied."